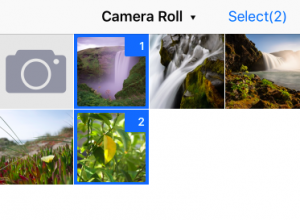 It’s a Facebook style Image Picker Controller by Swift. It uses DKCamera instead of UIImagePickerController since the latter cannot be Integrated into another container, and it will raise a warning Snapshotting … or snapshot after screen updates. in iOS 8.